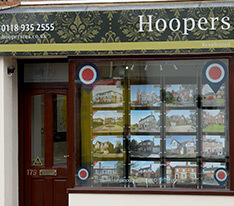 Buying or selling your home can be one of the most stressful experiences but at Hoopers Residential our aim is to take the strain. We pride ourselves on a personal touch, building rapport with clients and ensuring you are kept informed throughout the sales process. Paying great attention to detail is the key to our continued success and our team of property experts work tirelessly behind the scenes to ensure a smooth passage in what can often be a rocky road.